It’s no secret that the addition of a baby can challenge even the healthiest of relationships, yet it can still be shocking when this actually happens to you. That’s why the baby-proof relationship book And Baby Makes Three has certainly piqued our interest. Written by relationship experts and husband-and-wife duo Dr. John Gottman and Dr. Julie Schwartz Gottman, the book sets out to help couples learn the skills they need to keep partnerships alive and thriving while juggling parenthood. The Gottmans founded (and currently run) The Gottman Institute and Relationship Research Institute in Seattle. After a 13-year study looking at hundreds of pairs, the two discovered that while some couples manage the transition from coupledom to parenthood easily, most have a harder time. 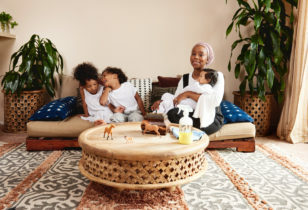 In fact, the researchers found that two-thirds of new parents experience a significant drop in relationship quality after their children are born. Can you relate? The greatest gift a couple can give their baby is a loving relationship, because that relationship nourishes Baby’s development. 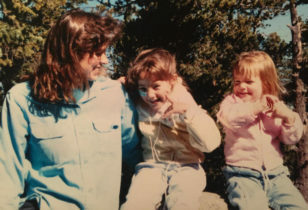 The stronger the connection between parents, the healthier the child can grow, both emotionally and intellectually. Children can’t thrive in stormy seas. Bonus: The Gottmanns also share their own experiences, both as parents and as married partners, which we find comforting. Ready to get a little help in this department? Check out the link below. 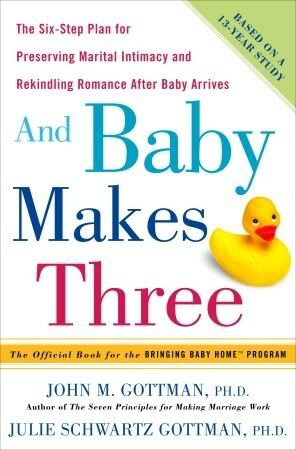 And Baby Makes Three: The Six-Step Plan For Preserving Marital Intimacy and Rekindling Romance After Baby Arrives, $12.37, Amazon.